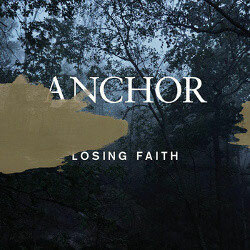 Anchor haben mit "Losing faith" einen weiteren Song aus dem kommenden Album als Single via Gaphals veröffentlicht. Das Album "Distance & Devotion" erscheint weltweit am 6. April. In Deutschland, Österreich und in der Schweiz wird das Album am 10.04. veröffentlicht. Im Mai geht's dann auf Tour (s. Konzertdaten). Anchor returns in april 2015 with their third album Distance & Devotion. The album holds 11 tracks built out of frustration, personal struggle, firm convictions and deeply rooted ethics. The band have forged a hard and heavy rock album in Distance & Devotion. Adding more melodys and better arrangment to their already energy filled songs made the new album just as powerfull as the bands liveshows. Being one of Europe´s most outstanding tour machines, Anchor founded in 2007, have played over 450 shows on five continents and closing in to 40 countries.